Welcome to our website; we'll get as close as we possibly can to extending the same type of warm welcome you'd receive if you popped into our offices in Acton, Ealing, Greenford, Isleworth, or Northfields. That's our patch, and it's a patch we know well, having opened our first office in Ealing over 30 years ago. Things were very different then: we were without the Internet and with a full postbag, but the fundamentals of estate agency have remained the same. We still pride ourselves on being a local, independent agency with client service, communication and integrity as our core values. Whatever your property interests - residential or commercial, sales or lettings, property management or new homes, you'll find something of interest here. We are proud of our reputation for the excellent customer service that we deliver, and it is important that you don’t just take our word for it. We welcome all feedback, as that is the best way we can always improve our standards and not rest on our laurels, so please do have a look some of the comments that we have received. We are the established, local and independent experts in catering for the west London area property market and have branches in Acton, Ealing, Greenford, Isleworth, and Northfields. Whether you are new to the area or familiar you will find some interesting and useful facts, guides, information and links here to help you with your area and property search. 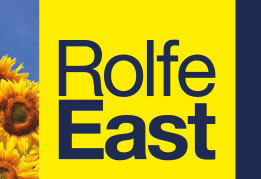 Rolfe East could not be as successful as it is without the quality of its staff and we value them all very highly. Please do have a look at their profiles and you will see what an experienced, knowledgeable, energetic, can-do, and fine bunch they all are – and just how long they have been with us, which says an awful lot!